Only 39% of Kenyans bothered to vote in the re-run Kenyan election, thanks to an opposition boycott. The same man won, sitting President Uhuru Kenyatta, who claimed 98% of the vote. The Supreme Court quashed the August poll after voting irregularities. 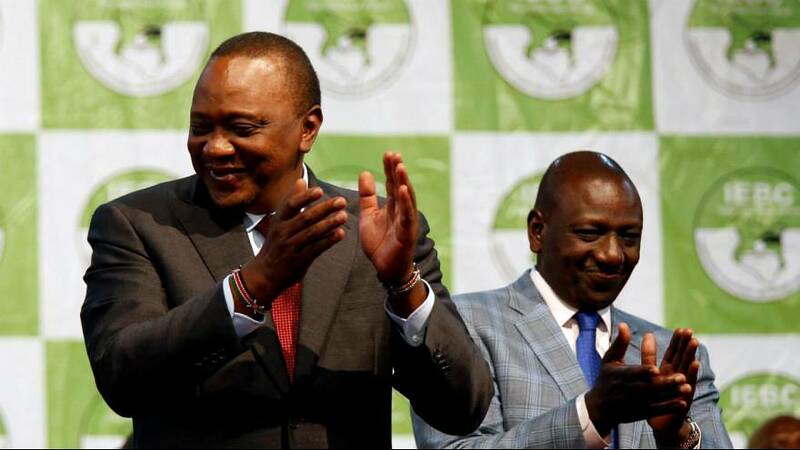 “As you all know I have been here before, I hope this is for the last time;” laughed Kenyatta on accepting the victory. Supporters were out on the streets as soon as the result was known but there are fears the fresh vote will have solved nothing. While the opposition leader Raila Odinga branded the election a “farce” his supporters protested, chanting “the people want tear gas” at police in several areas. Until now the crowds have mostly vented their anger on the police, but there are worries the political dispute could take on racial overtones with at least two deaths this weekend in clashes between rival groups. One coalition of civil society organisations that fielded some 2000 election observers reported cases of polling stations where electoral lists did not tallly with votes cast.